HomeNotificationTSPSC Forest Section Officer Released Admit Card/Hall Ticket. 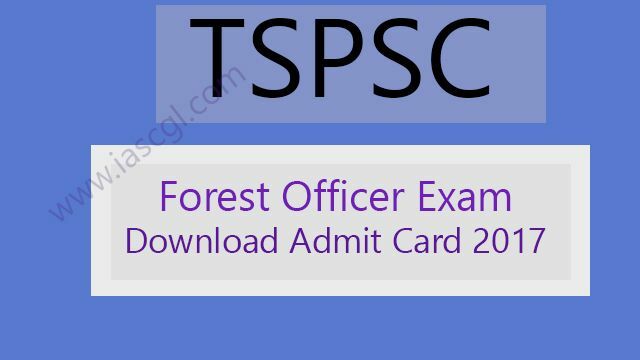 TSPSC Forest Section Officer Released Admit Card/Hall Ticket. The Telangana State Public Service Commission has published the admit card/hall ticket for forest section officer in the Forest Department of the state. Telangana State Public Service Commission(TSPSC) released Hall Tickets/Admit Card for the forest section officer exam. Exam is scheduled to be on October 22, 2017. Total number of vacancy is 90. Candidate can download their admit card from the official website of TSPSC at tspsc.gov.in or from the direct link given below.